While I wait for the follow up to my Scalia piece to be published by Huffpo (and republished here), time to kick off a semi-regular series highlighting web sites, books and other resource that might be of interest to readers of this blog. And today, I’d like to talk about an Amazon-owned property I became involved with during the process of bringing Critical Voter to market. 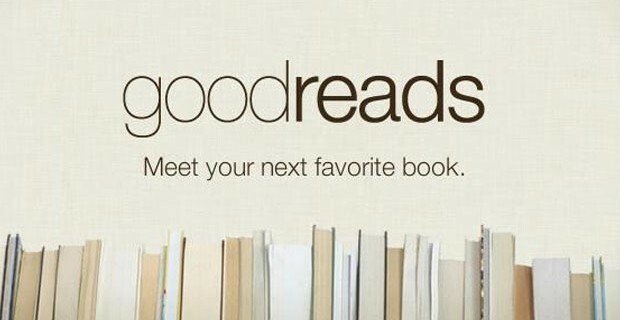 Goodreads is a community site for book readers, writers and lovers with enough critical mass to make it the go-to place for those interested in all things book. It seems to get a feed from the mothership, which means that pretty much any title purchasable on the world’s biggest online retailer automatically gets a Goodread page where readers can leave ratings and reviews, as well as kick off or participate in discussion about a work. Beyond quantifying your own reading habits and giving you the chance to sing the praises or pop off about individual titles, Goodreads also lets readers create groups where they can discuss specific books, authors or topics or simply hang out and replicate online the type of book discussion groups that take place in living rooms and college dorms here in non-virtual space. Remarkable things happen when a social site reaches critical mass. For example, with the exception of some obscure education and philosophy titles, almost every book I’ve read in the last two years has at least been rated by at least one Goodreads member, meaning that an identifiable someone shares my interests. And the level of thoughtfulness you see in reviews and group discussion reflects impressive levels of engagement by participants in the Goodreads community. This type of quality engagement is self-perpetuating. For example, as I began to contribute my own capsule reviews to the site, they were written with the assumption that they would be read by a thoughtful audience with a critical eye (and an aversion to shilling). Speaking of shilling, Goodreads also provides tools for writers, including an Author page I recently set up that consolidates an author’s books, reviews, discussions and contributions. Apparently they also offer a number of ways to engage with readers through Q&A sessions and giveaways, a set of options I look forward to exploring once I’ve had the chance to participate in the community in ways that don’t just serve a promotional agenda. And that non-promotional agenda begins by inviting you not to buy my book, but to join the Goodreads scene where you can enjoy the company of those ready to talk about any book you’ve read, are reading or are deciding whether or not to read.